Today at 1pm est Apple is having a special event to announce the new iPhone6 and U2 is supposed to having some sort of involvment. 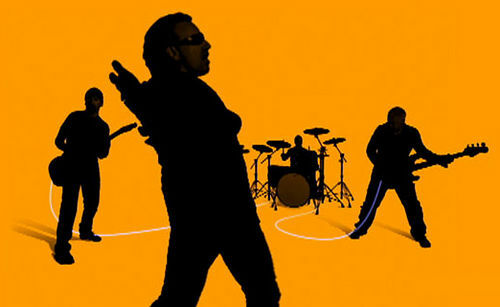 Not sure if U2 is actually performing at the event or will just be there or will show the video they filmed last week. 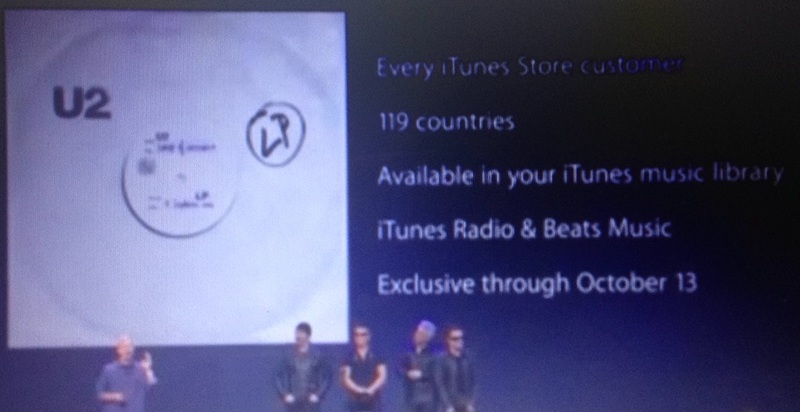 Not sure if U2 will just announce their new album or tell how you can stream it from the new iPhone6. Whatever the case, U2 is sure to have some role in the new iPhone6 announcement today, and I will be watching every second of it. After watching the countdown on the Apple site, five minutes before we’re told we can only watch the event with safari browser. Luckily, Apple has a YouTube channel streaming the event, but it’s now almost 1:15 and it hasn’t started yet. Crazy that Apple can’t properly live stream their own event to release the new iPhone6. The iPhone6 will be bigger and have longer battery life. 1:50 waiting for U2 … Just got email from u2.com and U2 will be on by 2:30pm est. Now it’s the iphone watch, which is pretty cool, but I hope U2 gets a bigger applause than the iphonwatch. It’s a good thing U2 didn’t come on any sooner because it took Apple over an hour to get the live stream working correctly.